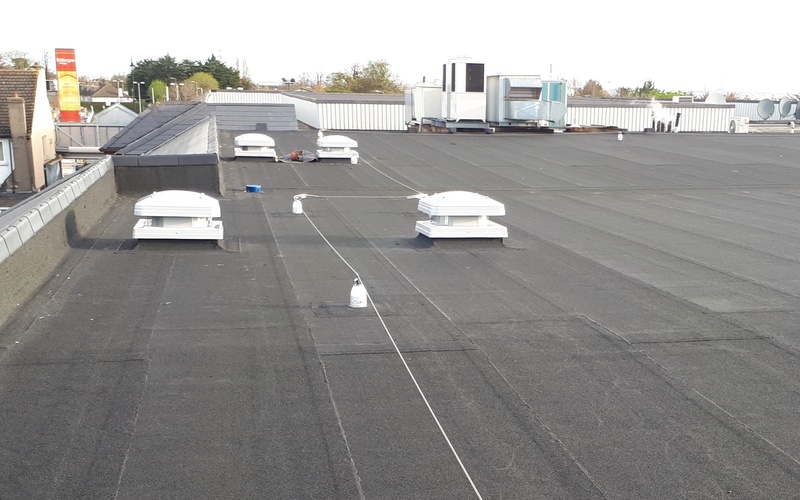 This project is for the installation of a new fully equipped gymnasium above a live and busy shopping centre. 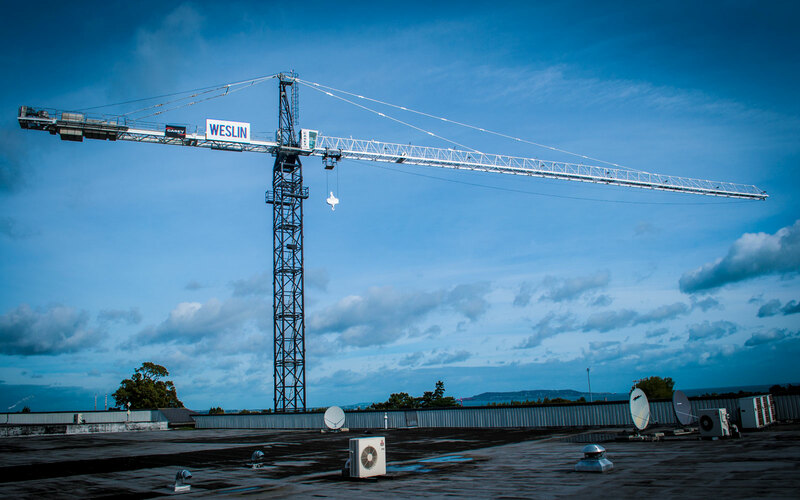 The existing roof was removed from the building and a new steel structure introduced to provide the additional height required. 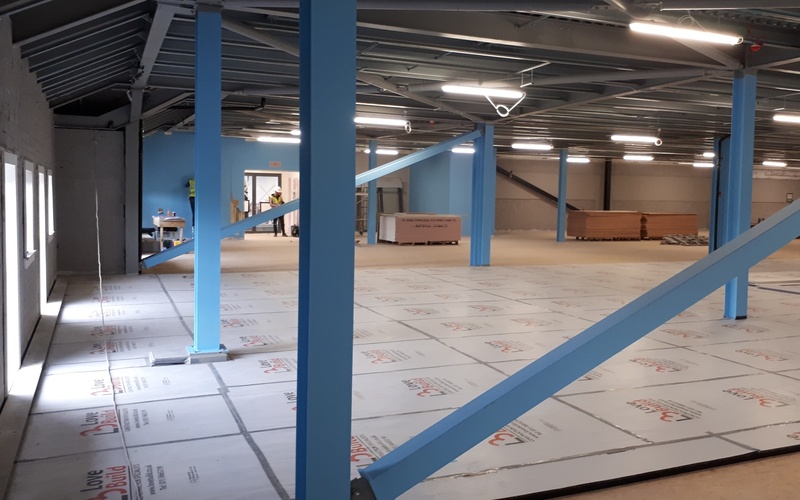 A new floor slab was fitted off the new steel superstructure, as the existing slab was not rated to take the loadings required for the gym. 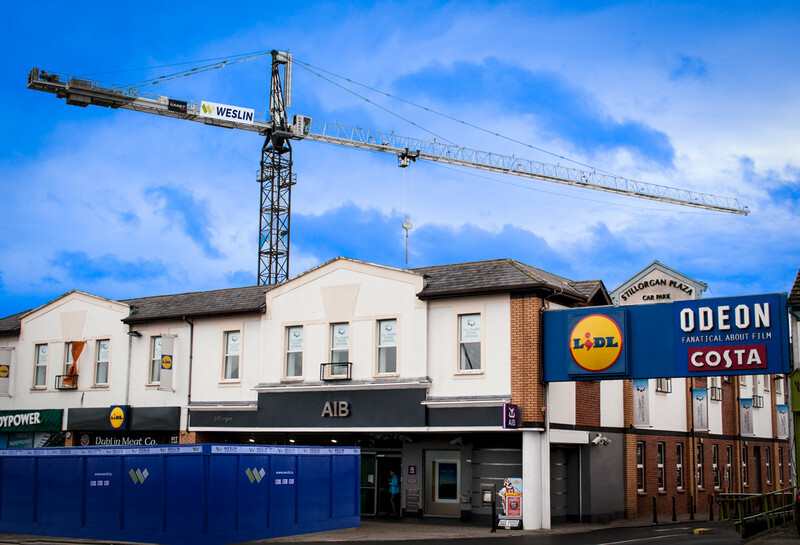 Due to the awkward access to the site and serious traffic and parking restrictions a tower crane was erected to allow all materials and plant to be lifted from Kilmacud Road over the building to the work areas. The existing shopping centre remained open and fully operational during the works.